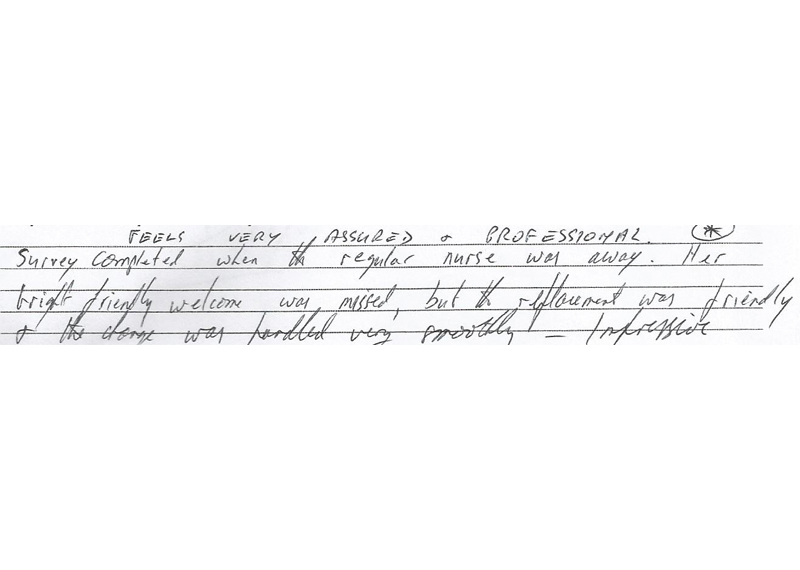 I am very pleased with the professional, caring and meticulous treatment in a friendly and relaxed atmosphere. 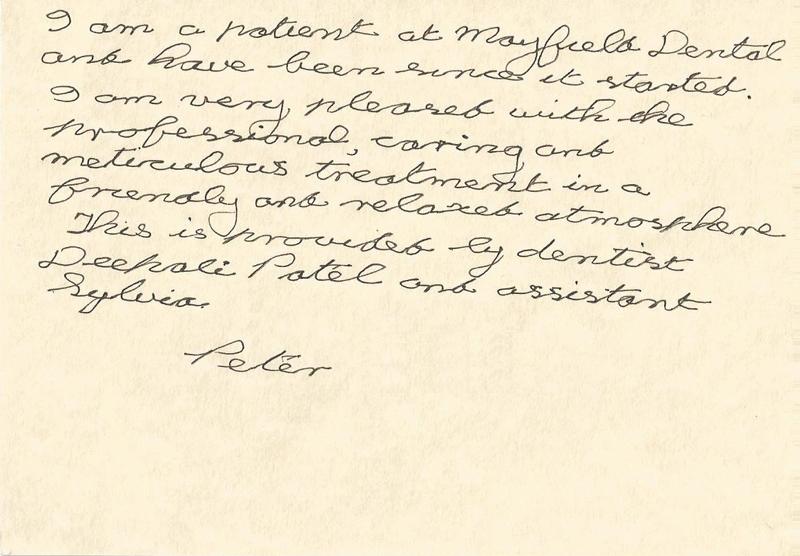 This is provided by dentist Deepali Patel and assistant Sylvia. The ultra modern surgery and the professional but relaxed attitude of Deepali and Silvie immediately makes you feel at ease. 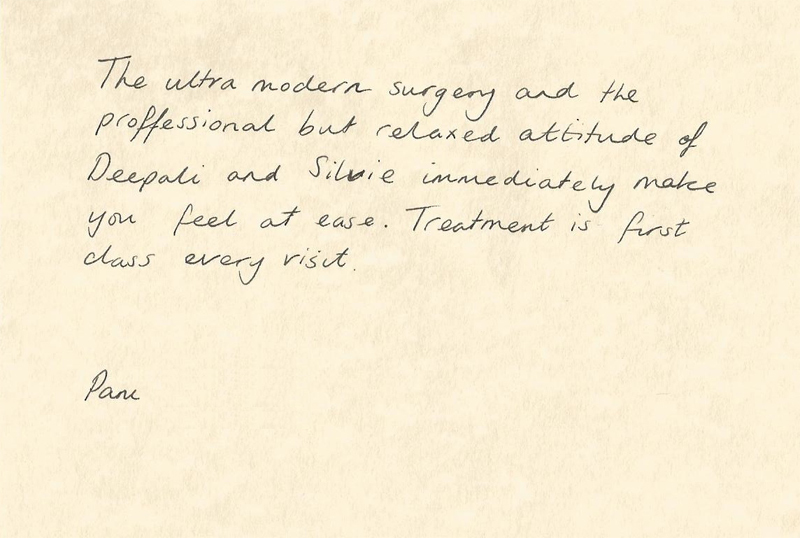 Treatment is first class every visit. Within a few months, my teeth are in a stable condition. I can now enjoy eating again. 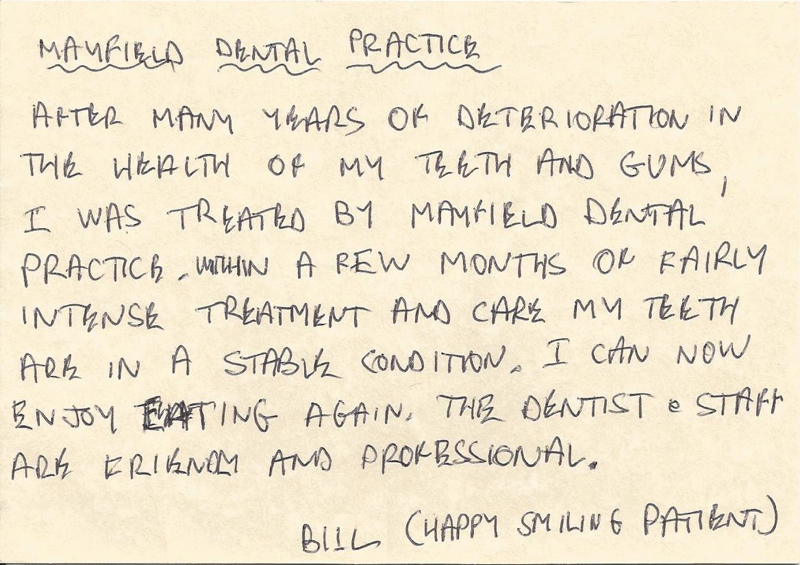 The dentist and staff are friendly and professional. 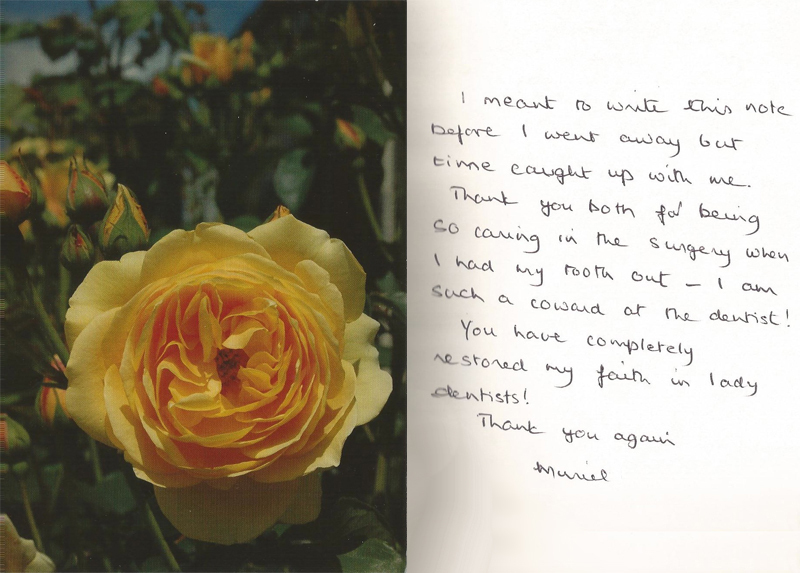 Thank You both for being so caring in the surgery when I had my tooth out – I am such a coward at the dentist! 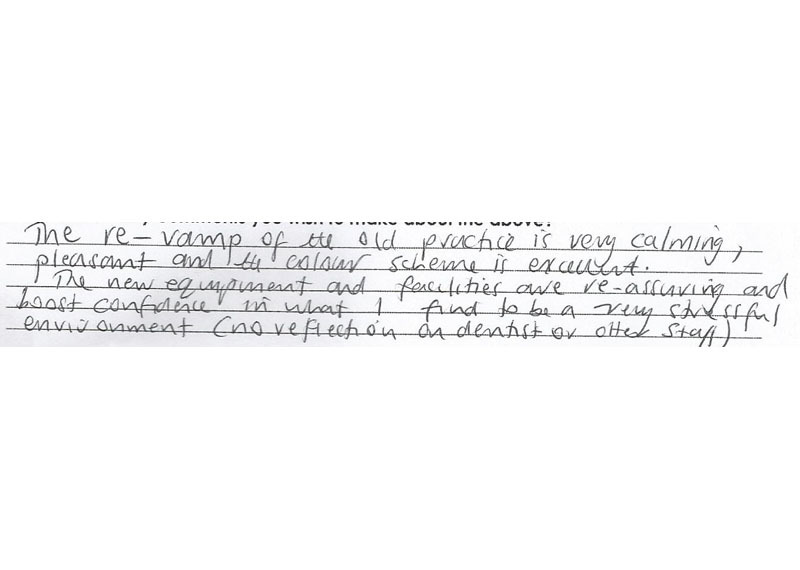 You have completely restored my faith in lady dentists! 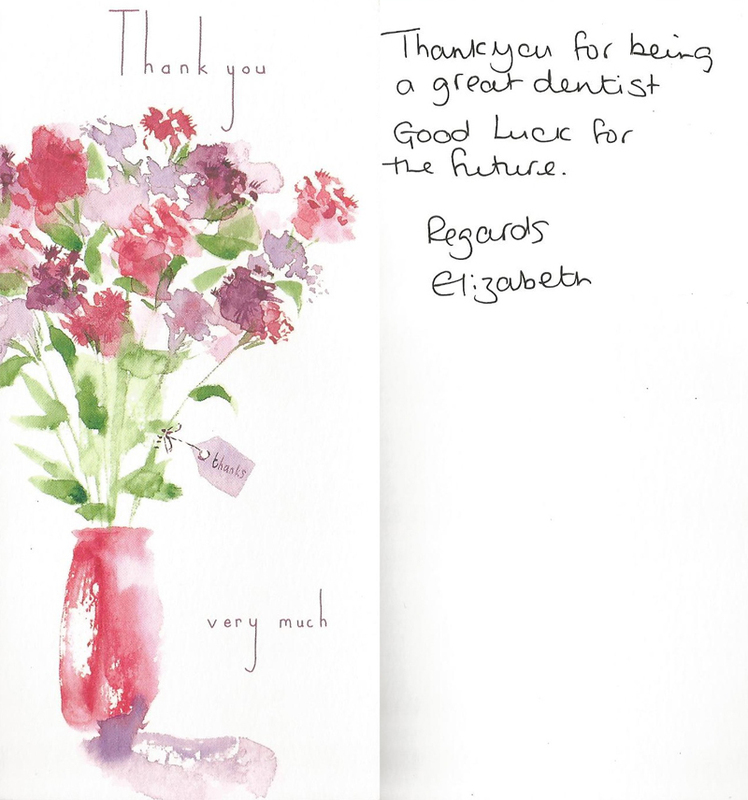 To my favourite dentist, such a small way to show my thanks to you for your trouble and concern and to be successful with my lower denture. Thank You for giving me trust back in a Dentist and your patience with me. The re-vamp of the practice is very calming and pleasant. The new equipment and facilities are reassuring and boost confidence. 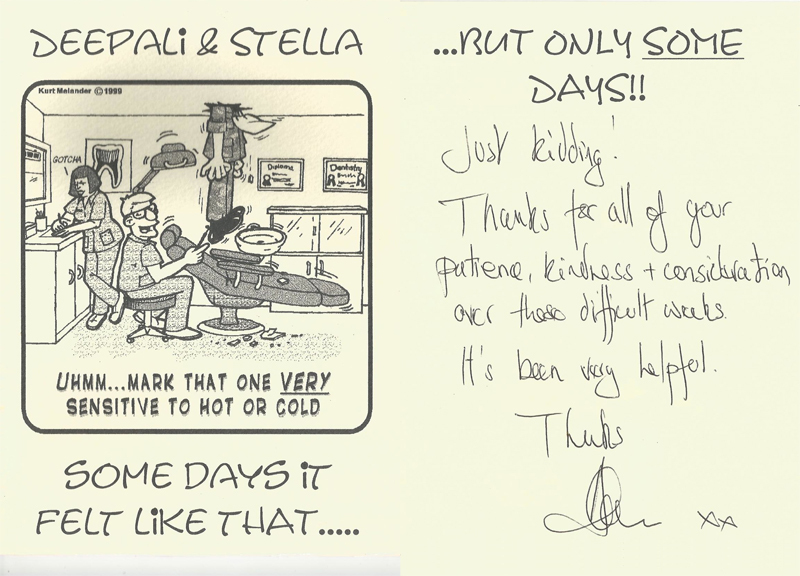 Thanks for all your patience, kindness and consideration over these difficult weeks. Its been very helpful. 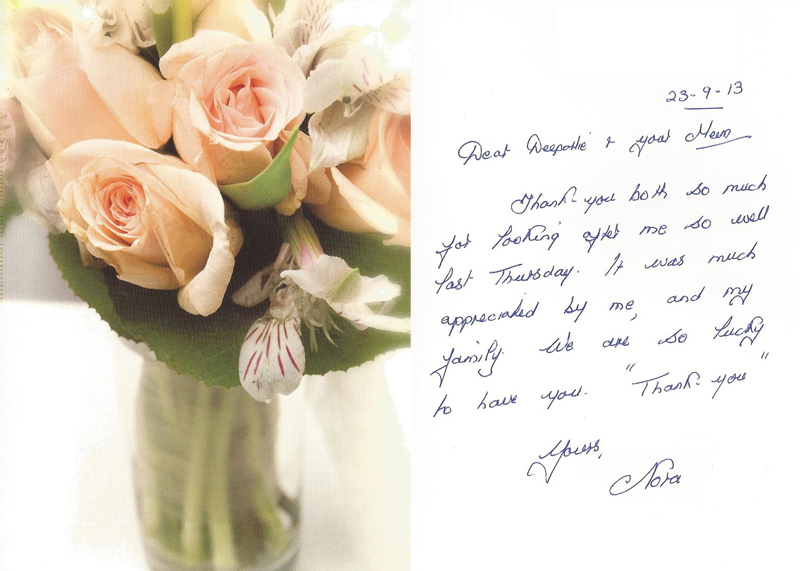 I so appreciated your kindness throughout my recent procedures. Thank You! Thank you so much for your support and encouragement. You’re a fab team and really appreciated. Feels very assured and professional. Thank you for being a great dentist. Such a friendly welcome. 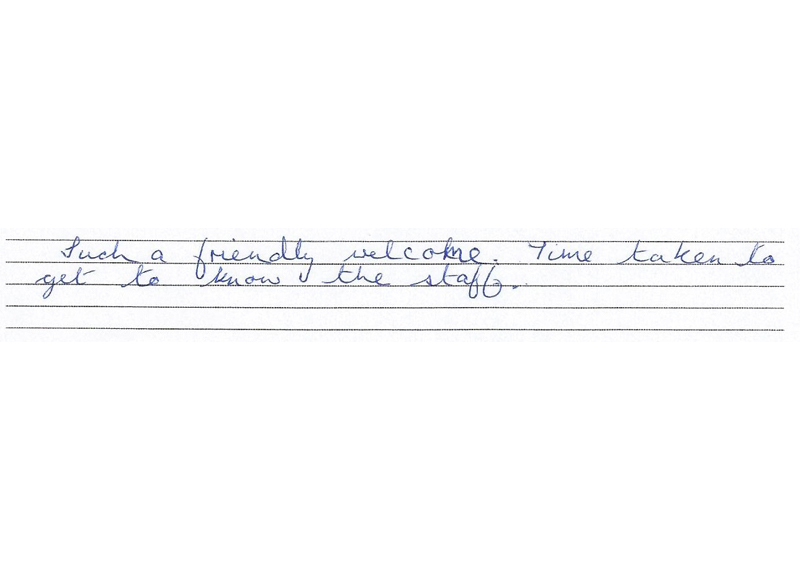 Time taken to get to know the staff.